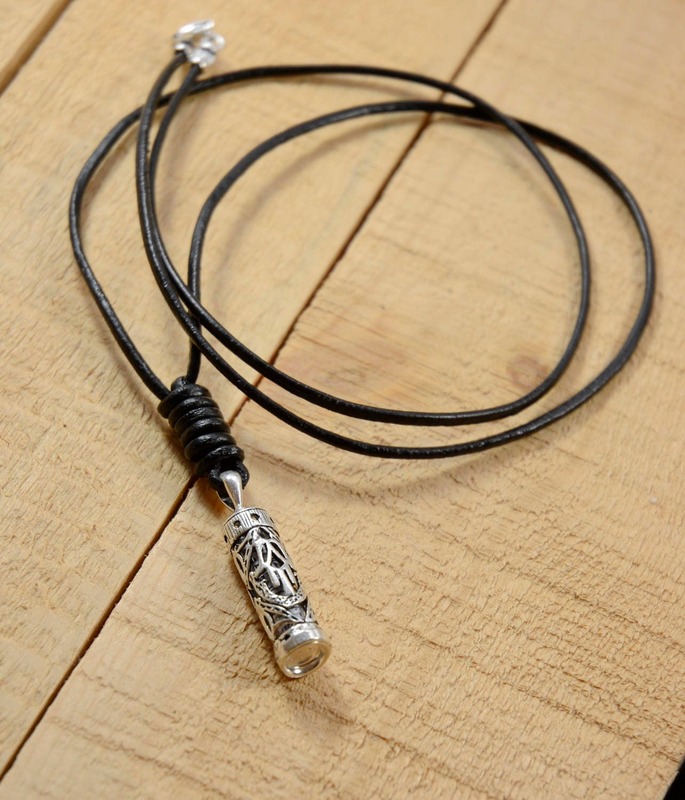 Sterling Silver Mezuzah Necklace is made of Sterling Silver on a Black Leather necklace with parchment. 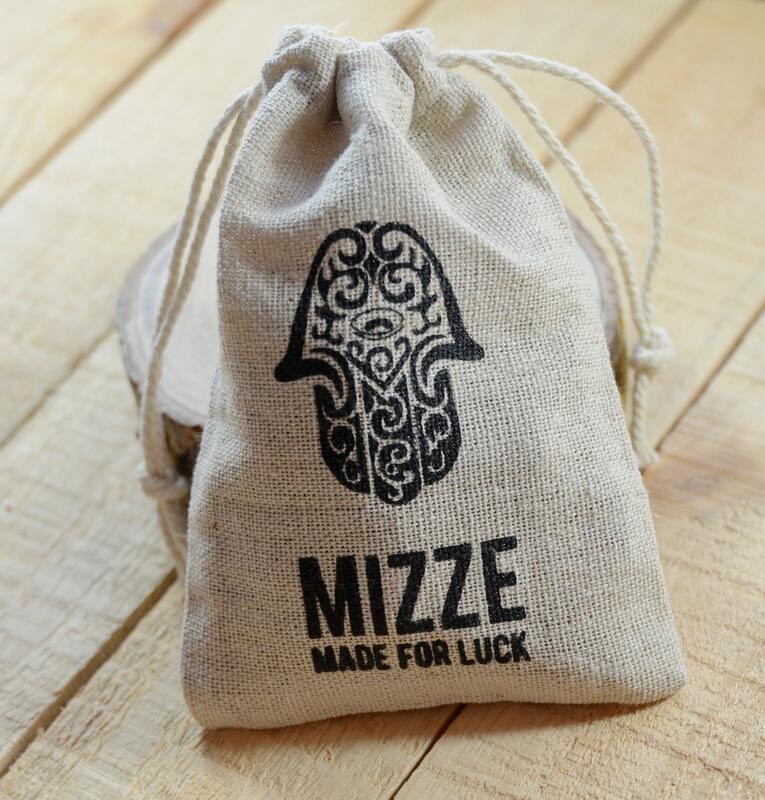 The Mezuzah pendant includes the parchment with a blessing. 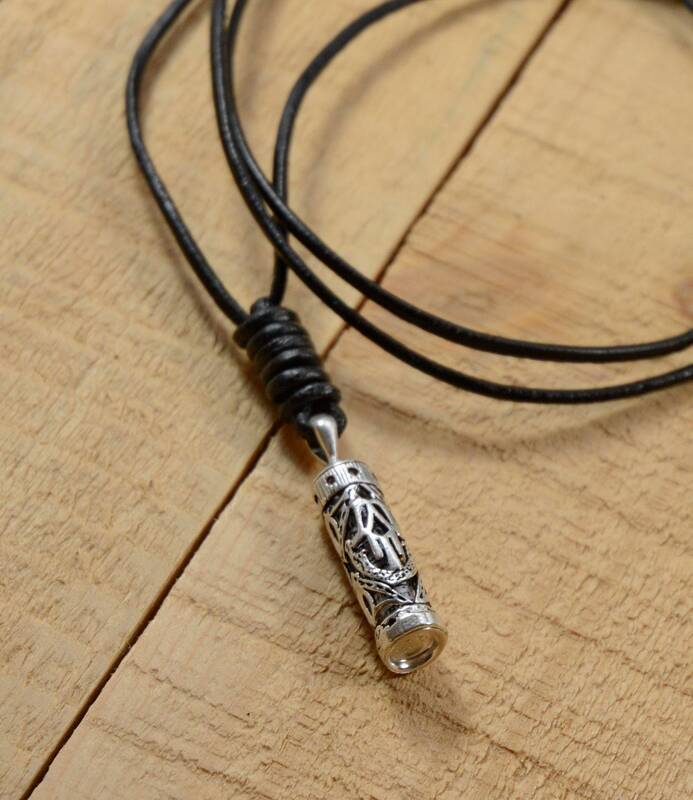 The leather necklace is 26" long. 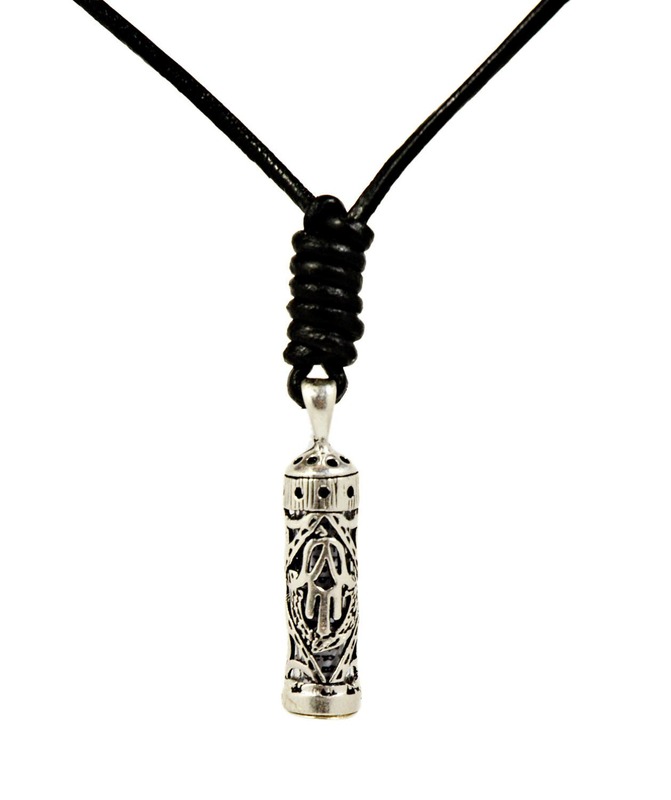 The Mezuzah pendant is 925 Sterling Silver and is 1.2 Inches in length.